It can’t mean personal trust in the other people involved, at least not in a large organisation where it is impossible to know everyone, and indeed impossible to know OF everyone involved in KM. 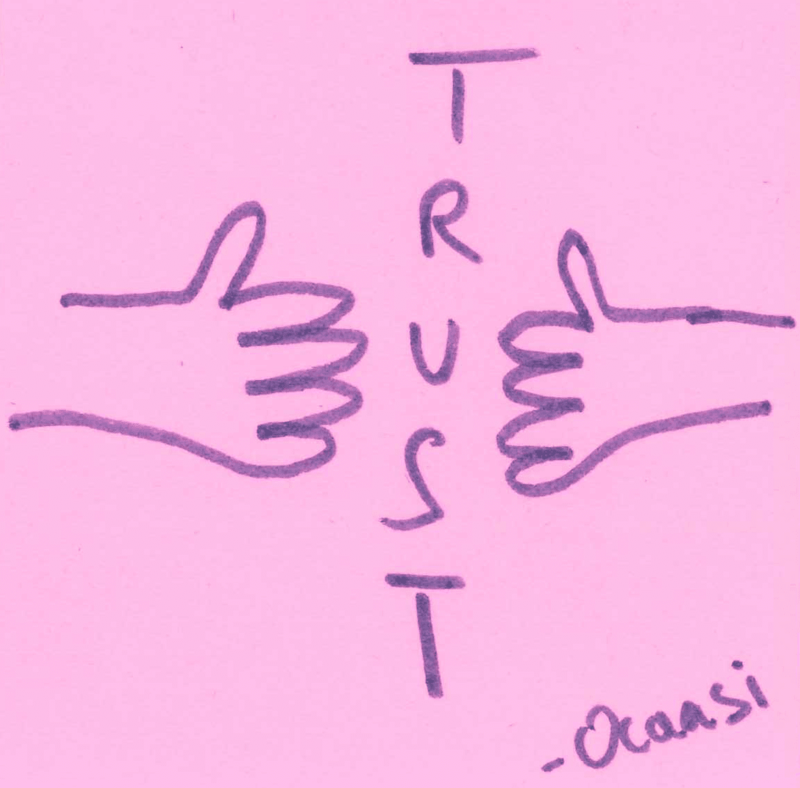 I think instead we are talking about trust in a System. Predictable. 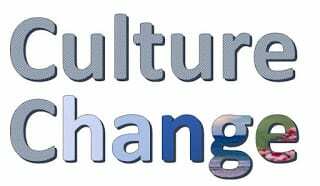 Communities of practice, in particular, suffer from “out of sight, out of mind” and the community that does not communicate is a community in decline. The leader needs to build and maintain predictable activity. People need to know that peer assists and lesson capture meetings are predictable and regular occurrences within a project. They need to know that knowledge assets will be updated in a regular and predictable way. Useful. KM must build a brand and a reputation as being “a trustworthy means to deliver value”; both to the organisation and to the membership. People must be able to trust that attending a Knowledge management process such as a Retrospect or a community of practice event is a valuable use of time, and that they will come away with new and useful knowledge. “You have to be able to trust the knowledge and information that you receive to be the best that can be sent to you, and those that send it to you have to be able to trust that you will use the knowledge and information in an appropriate manner”. 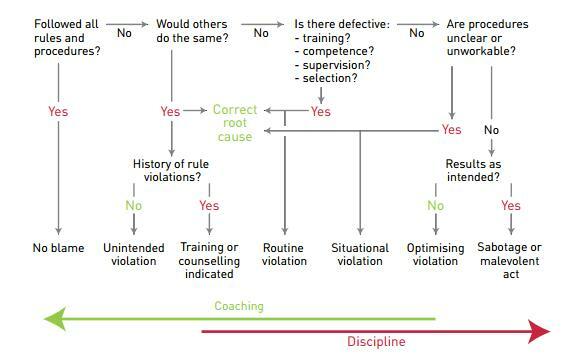 Can Safety Management be a good analogue for KM? 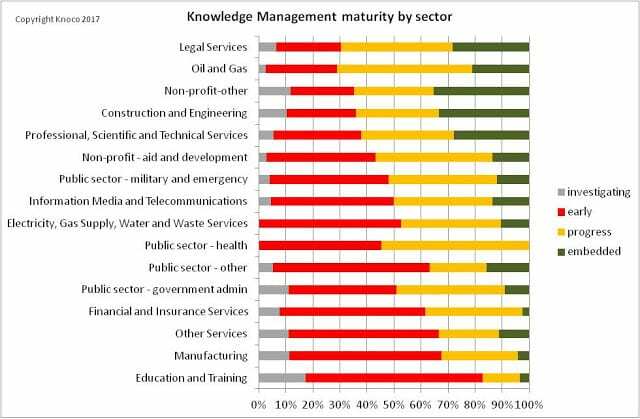 This is good news for the Knowledge Manager, as Safety Management has been successfully introduced in many industries, and therefore is a source of learning for KM implementation. 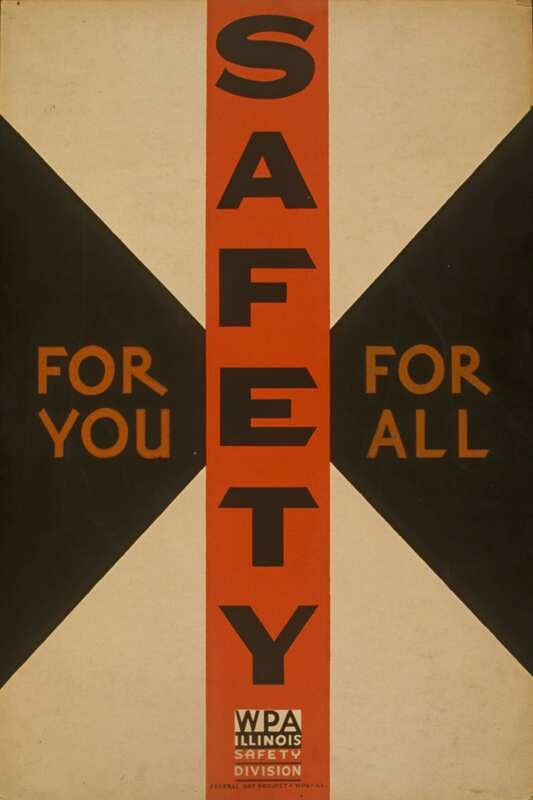 One of the early exercises for any knowledge manager in an organisation where a safety culture is in place, is to look at how safety management was implemented; what succeeded, what failed, what needed to be in place, and therefore what the lessons are for KM. 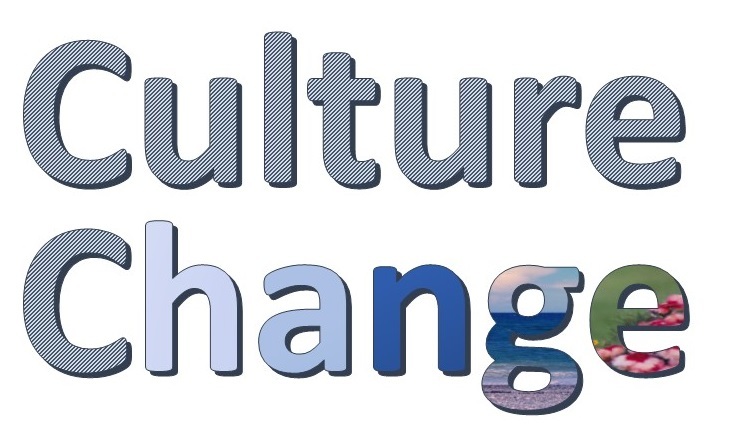 Culture change is possible, implementation of a new intangible-management system is possible, and KM can learn from that. However, intangible metrics are used in Safety are only recorded because people take time to record them, and one of the things they record are the near misses and the “high potential events” (times when things COULD have gone horribly wrong. These events and near misses themselves don’t result in accidents or injury, but are a leading indicator, and show that safety processes are not being applied. An equivalent leading indicator in KM would be the number of lessons without closed-out actions in a learning system, or the repeat mistakes, or the number of unanswered questions in a community forum – indicators that knowledge processes are or are not being applied. So although we cannot capture a “lost knowledge incident” we can at least record whether the right questions are being asked, or the right observations and insights shared. We know that culture and management style affects KM; here is a way of characterising management style through 2 dimensions. 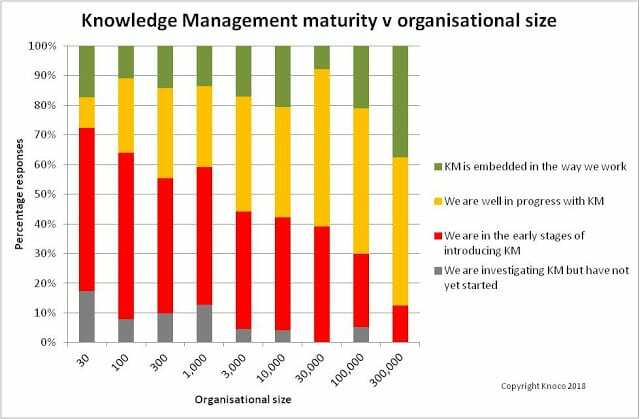 The Boston Square shown here explores four management territories, and their impact on Knowledge Management. the levels of internal cooperation v internal competition (often reinforced by reward and recognition schemes such as forced ranking, or competitive bonuses). These two axes give us four territories. Where there is strong internal competition, and management by empowerment, then Knowledge Management will find things more difficult. Leaders can, if they try, use KM as a sort of coopetition tool, where the groups will cooperate to a certain extent through knowledge sharing and re-use, but will compete regarding the application of that knowledge. This is a difficult line for leaders to tread, as the internal competition can be used as an excuse not to share with and learn from each other. Sometimes people will “go underground” and share knowledge without their managers knowing, but more often the sharing is stifled. 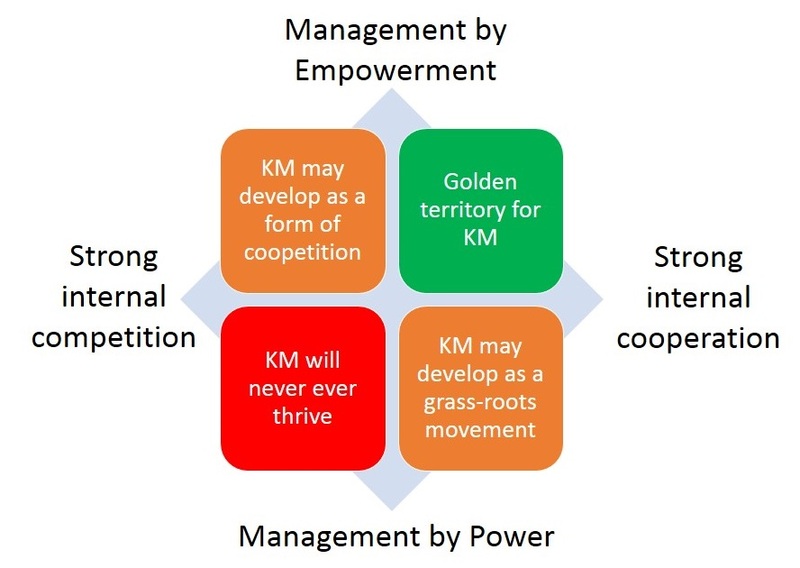 Where there is strong internal cooperation and management by power, then formal Knowledge Management will find things more difficult, but informal KM may arise in unexpected ways. Here KM definitely will go underground, and can become a way for the workers to share knowledge and gain some sort of personal power without the managers knowing. I have seen this happen in organisations, where the communities of practice become “grumbling shops”. KM can turn from being a grassroots movement to a workers revolutionary force. You can see an extreme geopolitical version of this in the “Arab Dawn” where Government by Power met a collaborative and networked populace. Here is another couple of ways to characterise the KM paradigm shift. Here is another way to look at this shift, taken from a paper on The Learning Organisation, by organisational Psychologist Gitte Haslebo, translated by Maja Loua Haslebo. This mirrors the transition from Knower to Learner, and Gitte suggests it is accompanied by a shift in the attitudes of managers and knowledge workers to transition from the attitudes we learned at school to the new attitudes we need at work. Do not make a fool of yourself It is important to explain what you wonder about. Know that the teacher is always right Know that your manager may be wrong. So there are 3 ways to look at the shift, with significant overlap between them. They give you some ideas of the culture you need to aim for in KM – the sort of attitudes and behaviours that a learning organisation, and the people within it, should exhibit. Now you just have to make that shift, and ensure you don’t shift back again. "Who owns a scientist’s mind?" “Who owns a scientisist’s mind” is a really interesting article about the “ownership” of knowledge which raises some deep questions which are fundamental to KM. Who owns the products of intellectual labour such as research? Douglas points out that patents (as an example of monetised knowledge) once went to the inventor by default. He contrasts that with the current situation, where companies “extract workers’ know-how so that the company can store and own it indefinitely” through knowledge management, and he believes that this trend has resulted in “scientists slowly losing control of their discoveries, both in private industry and in academia”. Where a scientist once had patent rights, now the organisations have taken those away, through contracts and through claiming trade secrets. Most of the respondents felt the knowledge was theirs, and was leased, not owned, by the organisation. The people who responded were knowledge workers, not scientists, but the principle was the same. They felt they owned the knowledge in their head, much as scientists might feel that once they owned the knowledge in their heads, and that this is being “taken away”. 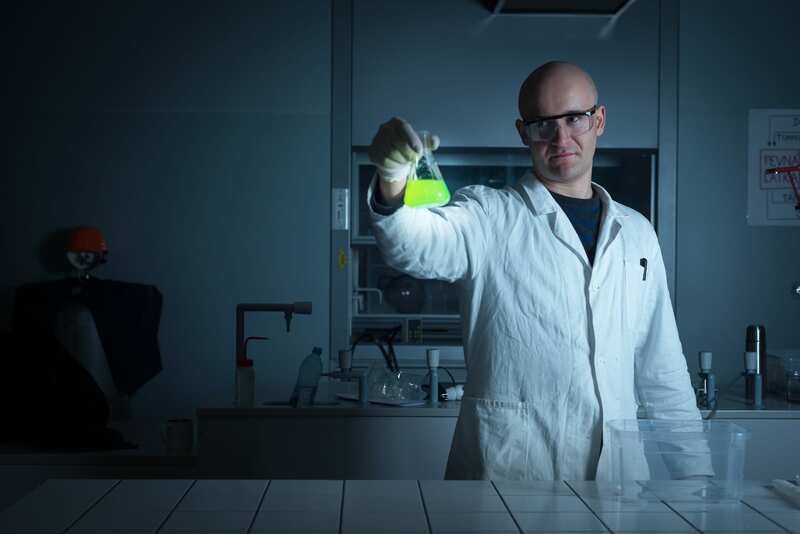 We are not really in the world of “lone inventors” any more – of lone scientists who through their own personal intellectual endeavours make the breakthrough that can earn them millions in patent rights. Generally the scientist works for an organisation which has a research department, and (if the organisation practices knowledge management) which provides to the scientific researchers the sum total of the organisation’s previous endeavours on a topic. The scientist is part of a team, part of a community and part of a longer history of scientists, who communally develop and have developed the knowledge. As far as ownership of knowledge is concerned, you cannot separate the individual and the organisation. An organisation is made up of individuals, after all, and knowledge is created, shared, refined, re-used and re-evaluated through interactions between individuals. It is the interactions within the organisation that put most of the knowledge in the scientist’s head in the first place. But knowledge is not like money – if you give knowledge away, you also still retain it. The departing scientist, however much they share their with the organisation, still get to retain the generic know-how and experience in their heads. Both sides benefit. The knowledge you use at work is through an unstated cooperative agreement – the company will educate you and give you access (through KM) to a wealth of knowledge, and you will use that knowledge to support the company. It’s not yours, it’s not theirs, it belongs to both.